Join us August 29th for a webinar with Michael Osterman from the Osterman Group to talk about the email landscape and how to find the right email solution to improve collaboration, enable mobile workers and lower TCO. This webinar will cover an overview of Zimbra’s core features and functionality and a side-by-side comparison of Zimbra’s features vs. other enterprise email systems, including Microsoft Exchange, Google Apps, IBM Lotus Domino and Novell Groupwise. Sign up now to learn about the new version of VMware Zimbra, including integrated unified communications capabilities, how it compares to alternative enterprise email systems and why more there are more than 85 million mailboxes supporting users globally. 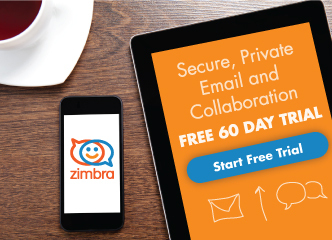 You’ll also see one of the first public demonstrations of the new version of Zimbra 8, and include a question and answer session with Michael Osterman and the Zimbra team. During this webinar, you will learn how Zimbra’s new features set it apart from other email platforms with new integrated unified communications capabilities; the ability to run Zimbra 8 in the public cloud, in a private cloud, or via a virtual appliance; and Zimbra 8’s integration with users’ personal clouds – and how these features offer a clear path for moving messaging and collaboration to the cloud, now and in the future. Attend and be ready for an exciting demonstration and the chance to get your top enterprise email and collaboration questions answered.